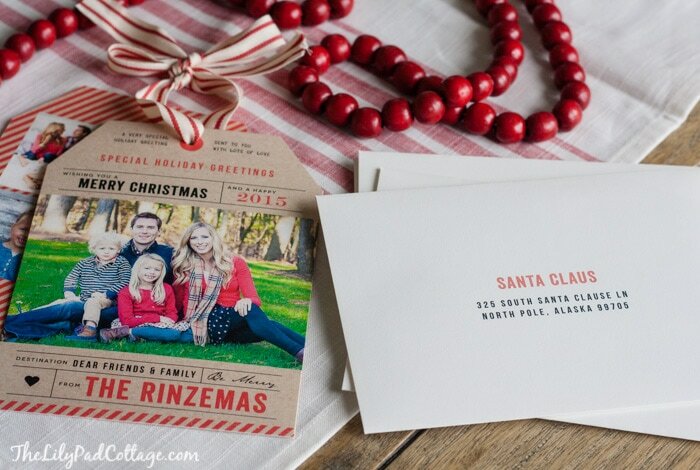 I got my Christmas Cards from Minted this year, they have the most creative and fun cards to choose from. I love the fact that they are all designed by independent artists, which makes them so unique. I get the Mr.’s work stationary there too. 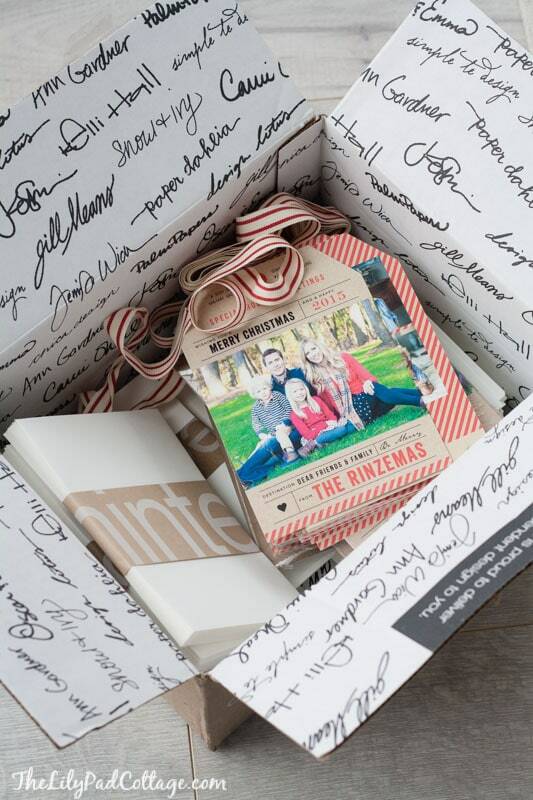 It’s always a happy day to find a box from Minted on my front porch! Usually, I take forever to decide on a design, but this card jumped out at me right away, the luggage tag design was just so fun. Anyways 30 minutes and 60 gazillions smarties later we had one decent shot. Little man still looks pretty grumpy, but we all have our eyes open and looking in the right direction, so I’m calling it a win! I used some photos taken by a professional this summer on the backside too. 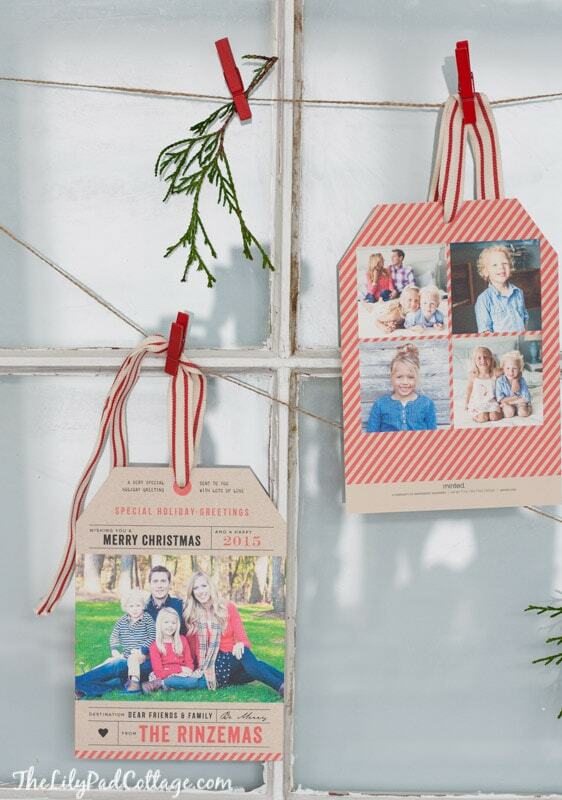 Bonus – they look SUPER cute on my Christmas Card Window Display. Minted also carries party decor, wall art and this cute ribbon I snagged a roll of too. 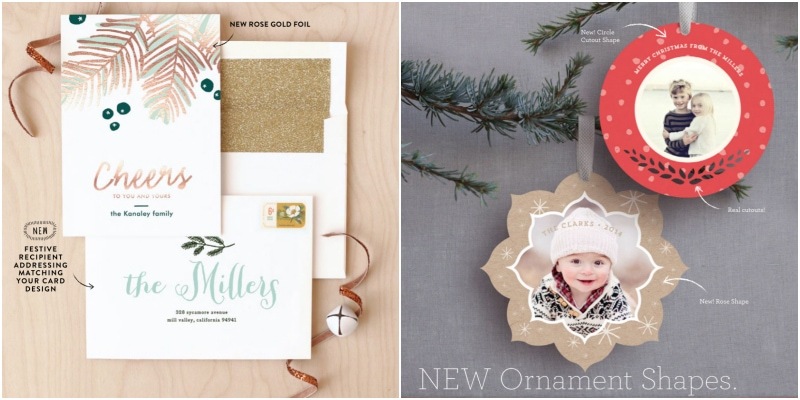 Disclaimer: This post was sponsored by Minted, but all honest opinions are my own! super cute card Kelly. looks like you got the perfect shot with the cutest card. I find that bribes always work well when trying to get the kidlets to cooperate. But then you may have a photo with the little devil sparkling out of their eyes. The pictures are adorable. I’ll be waiting for mine so I can hang it up — I’ll put it on my Charlie Brown Christmas tree. Thanks Marisa, yes candy always does the trick! 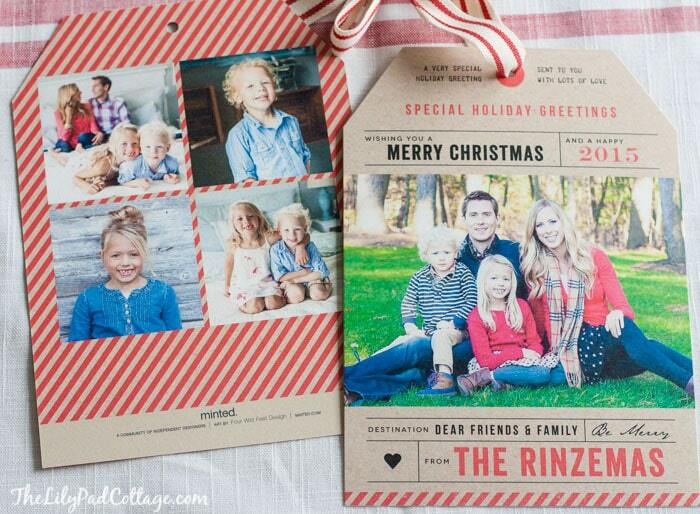 Love the pictures and the idea! Great tip Kelly! 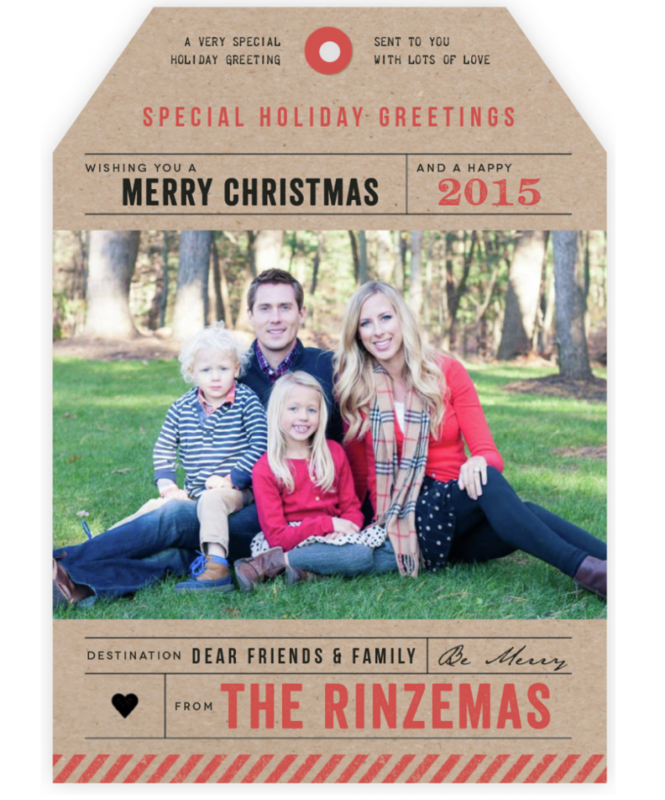 Really cute card and you have a wonderful looking family.Thanks and have a great day. Thank you Marlene, can’t wait to send them out!